Many people think so. Science, and the technologies it has spawned, has delivered so much to the world: clean water; more food; better healthcare; longer life. And we live in a time of rapid scientific progress that holds enormous promise for many of the problems we face as humankind. So much so, in fact, that many see no need or use for religion and belief systems that offer us answers to the mysteries of our universe. Science has explained it, they assume. Religion is redundant. Oxford Maths Professor and Christian believer John Lennox offers a fresh way of thinking about science and Christianity that dispels the common misconceptions about both. He reveals that not only are they not opposed, but they can and must mix to give us a fuller understanding of the universe and the meaning of our existence. 1. Can you be a scientist and believe in God? 5. Can we really take the Bible seriously any more? 6. Miracles: a step too far? 7. Can you trust what you read? 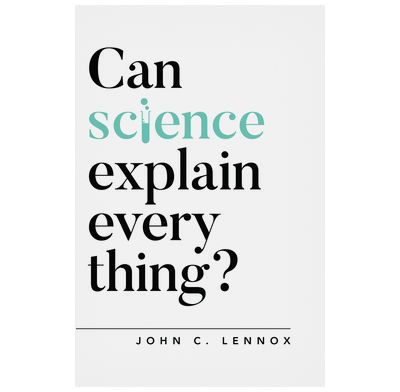 I am delighted that my colleague and friend John Lennox has invested time to offer a wonderfully readable summary of his work in science. Here he offers each of us what his parents gave him as a young lad growing up in Northern Ireland: the welcomed space to think for ourselves and the tools to dig deeper into questions of science and faith. I have learned so much from Professor Lennox over the years as I’ve watched him interact with critics and skeptics with grace and boldness. I believe you will find this book immensely helpful and enjoyable. With the delightfulness and wit of an Irishman, and the airtight logic of his mathematical mind, Lennox graciously whittles away at long-held controversies between science and God or science and the Bible. Using his remarkably rational thought process, Lennox gently dissects materialism and the arguments of its proponents in this delightful easy-to-read treatise. The presuppositions of science are left pondering in the face of this battle-hardened sage who is a stalwart follower of Jesus Christ. I picked up a book to read about science and was given a thorough presentation of the gospel instead. That is not to say that John Lennox did not provide a very thorough discussion of science. He did. Very effectively. His true gift is in his ability to craft a story that was both inspired language with gifted writing to present two seemingly contradictory ideas in a very logical, methodical, yet palatable writing style. Both Christian and non-Christian, scientist and non-scientist, and everyone in between, would benefit tremendously from reading this book. I devoured it in an afternoon, but find myself still mulling it over in my mind two weeks later. This is the short, clear, faithful, persuasive book that I've always wanted someone to write about the relationship between Christianity and Science. The case is bolstered further by the fact that it's written by a former Oxford University Professor of Mathematics too - not an easy author to dismiss out of hand. My only minor quibble is that it ends too soon, and perhaps goes into the rational basis for Christianity too soon: I wanted more on the relationship between Christianity and Science. This is an excellent book to give to the scientist in your life.